Are you interested in studying music production? Are you obsessed with how music is effectively presented live and/or recorded? This article will help you zoom in on your specific interests and career goals. 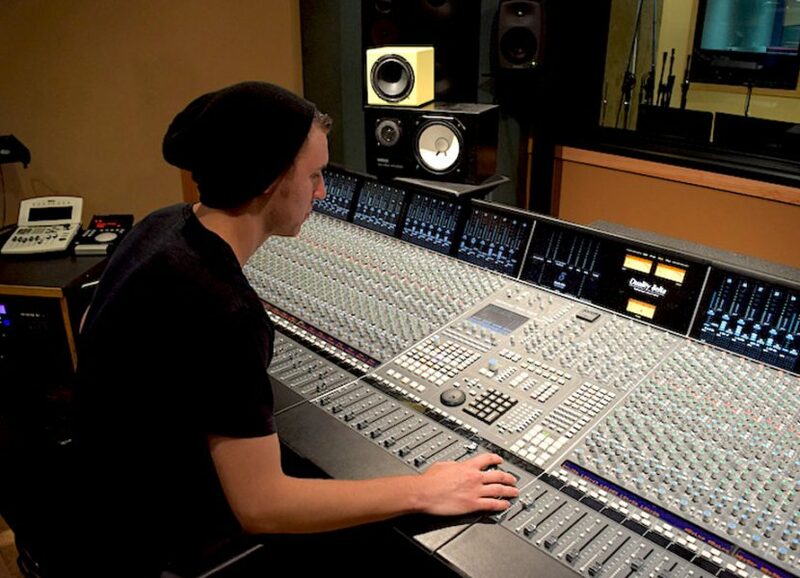 Find out what you need to know before you apply to music production programs, and learn what schools expect from their applicants. In a follow up article, students and recent graduates working in a variety of production-related settings will share their insights and recommendations to help you figure out your next steps. Recording engineer – Decides which microphones to use, where and how to use them, how to process or treat the sound before and after the recording. Recording engineers also manage the technical aspects of the recording session. Mastering engineer – Fine-tunes the audio on all the mixed recordings to make the individual tracks sound good. Provides a cohesive sound for the entire album. • Opportunities for hands-on training, internships, and other real-world experience. There’s a limit to what you can learn just sitting in a classroom. Note that at some schools, you’ll find these kinds of programs within a Music Industry department. Music production programs center around the science of sound, but the classes you’ll take, the hands-on experience you’ll receive, and the type of degree you’ll graduate with vary according to the focus of the program. BM programs emphasize a music performance component. They require an audition. BA programs are less likely to require an audition or strong performance chops. They may require a portfolio of previous relevant work and/or an interview. BFA programs are less common, may include digital performance, and may offer options for a focus in areas including composition or film. They may require a portfolio of previous relevant work and/or an interview. BS programs are more science/engineering-oriented, and may or may not include a music concentration. General requirements may include calculus, physics and computer science. They may require a portfolio of previous relevant work and/or an interview. Ask admission offices any questions that aren’t answered on their schools’ websites. If the schools participate on MajoringInMusic.com, you can use the form on their participating pages to ask your questions. We’ll make sure you get the answers you need. “Students who have a penchant for brainstorming and implementing, often with teamwork at the heart of the enterprise, are more likely to succeed,” says Dan Godfrey, Chair of the Department of Music at Northeastern University. Most of the schools we talked with agree that applicants should be “creative and active musicians who also demonstrate an interest in interdisciplinary collaboration and experimentation,” a description provided by Kurt Isaacson, former Admissions Counselor at CalArts. But expectations vary as far as what you should already know before you apply to a college-level program in any area of music production. Most schools expect you to have a musical background and at least some formal music training. At a school with a performance-oriented production program, you’ll audition and also take lessons on your primary instrument. These types of programs seek “strong performers who want to continue to develop as musicians in addition to studying the craft of music recording,” says Justin Kurtz, Chair of the Music Production and Technology program at The Hartt School. Schools that don’t require an audition will likely require a portfolio of past creative work in recorded and/or live sound. Some will also require an interview to discuss your interests and experience. For the more engineering-oriented programs, a strong math- and computer-savvy background and a high level of comfort in both areas are important. Before applying to college-level programs, get some experience in the area of music production you’re most interested in focusing on in college. 1. Take a music technology class at your high school, at a local community college, or online. This is a great way to see how interested you really are in diving into this field. 2. Look for summer music programs to further your knowledge. 3. Take a music theory class. 4. “Start finding out about how the music you love is made,” urges Darren Murphy at LIPA. 5. Talk with people working in the field you’re interested in pursuing. Shadow them on the job. Volunteer. 6. If you’re interested in recording, “Developing your ears to discriminate between the aesthetics of classical vs. jazz vs. pop/rock recording is very important to becoming a critical listener and student of recording,” says Justin Kurtz at The Hartt School. 7. If possible, obtain some home recording equipment, “even an inexpensive system with freeware software to learn on and record friends, associates, and professionals,” says Scott Wynne, Associate Professor and Chief Recording Engineer at Appalachian State University. This can help you “know the trials of recording music” and see if this is the right path to pursue. 8. “The most important thing we like to see is evidence of entrepreneurship, and this can be shown by finding positions of leadership within your school, launching a music club or event, actively performing in your community or seeking opportunities for creative collaboration with peers,” say Brianne Hayes, Administrative Director, and Alan Watson, Administrative Coordinator at NYU Tisch School of the Arts Clive Davis Institute of Recorded Music. 9. “Above all, be curious and be an independent learner. There is an incredible wealth of resources out there available to students online for self-study in music technology,” says Michael Gurevich, at the University of Michigan. He continues, “There are free or low-cost DAWs (digital audio workstation software) for recording, editing and producing audio files so that all you really need to get started is access to a computer, the internet, and a pair of headphones.” A microphone is also helpful. 10. Learn how to communicate about your interests. This will be important for successful interviews at schools that require them in lieu of or in conjunction with a portfolio and/or audition. What about grad school for music production? The world of music production is rapidly changing. This means anyone entering it must be ready and willing to stay current with technological advances in order to remain hirable. Graduate-level training will be useful if your career goals are unreachable without it. It may provide training that was unavailable while you were an undergrad. And it can jumpstart your learning new technologies as well as pursuing your creative interests with the assistance of mentors and collaborators. Live sound refers to amplified sound at a concert. Anytime you see microphones and speakers at a concert, from a small club to a Broadway musical to a stadium rock concert, there is a live sound engineer, or in the case of the latter a team of engineers, whose job is to deliver clean, well-mixed sound to every person in the audience. Sometimes even if you don’t see the microphones or speakers, there will be amplification happening discreetly. 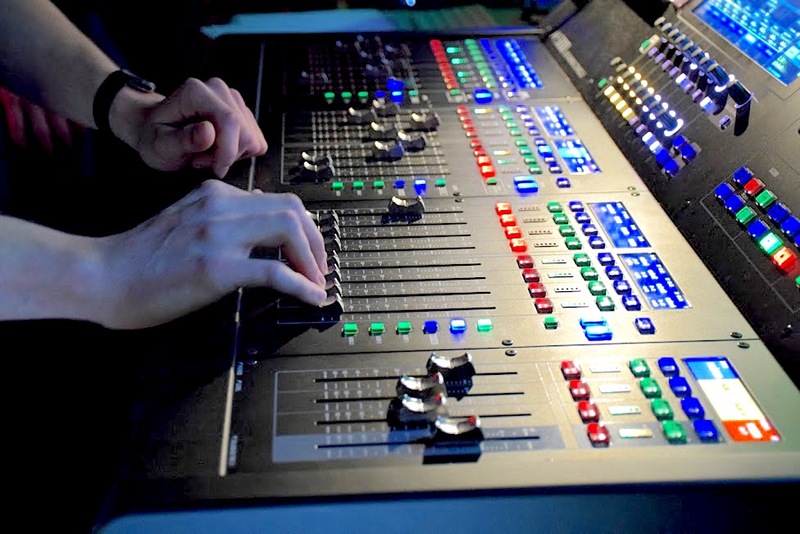 Live sound engineers worry about the acoustics and design of the venue, the unpredictability of performers, and all the things that can go wrong during a performance. Recorded sound refers to recordings often made in a controlled environment like a studio or a closed concert hall for documentation or distribution. Of course, you can make recordings of live amplified performances, but you’d normally have different engineering teams looking after the recorded versus the live sound. Michael Gurevich, Chair, Department of Performing Arts Technology at University of Michigan School of Music, Theatre and Dance.